HILTON HEAD ISLAND, S.C. (August 28, 2018) – Looking for value on vacation? Then look to the Getaway Package at The Sea Pines Resort, which offers guests great lodging and activities this fall and winter on Hilton Head Island, named the number 1 island in the U.S. by the readers of Travel + Leisure. And there’s more. 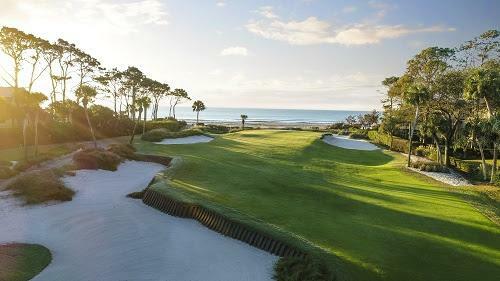 Exclusively for Getaway Package guests, the Fall and Winter Golf Passport (available starting October 22) includes up to one tee time per day on Atlantic Dunes or Heron Point. The two-player, four-day passport* costs just $349, which provides an exceptional golf value for each round. Harbour Town Golf Links can be added to the package for an additional $140 per guest per round. For more information about the Getaway Package, plus all the incentives and amenities included, visit www.seapines.com/vacation-rentals/specials/fall-winter-getaways.aspx or call (866) 561-8802 (promo code GETAWAY).